MamaBreak: Spare One-- Give mom safety this year! Are you looking for a way to provide a little safety and security to mom this Mother's Day? We were able to review SpareOne phone, and we think it is amazing! You are probably wondering what makes this phone so amazing. First, it runs on a single AA battery!!!! It also comes in this resealable bag. We live in a very flood-prone zone. 5 years ago, we were evacuated from our home in a 2 hour period. We packed up what we could and were forced to leave. What can you pack in 2 hours? What is great about this phone is you can throw it into an emergency kit, and it is always there for you in those just in case moments. These are awesome for hurricane preparedness kits and flood kits. We have one in our emergency tub and one in our bag that we can grab quickly if we have a sudden evacuation. 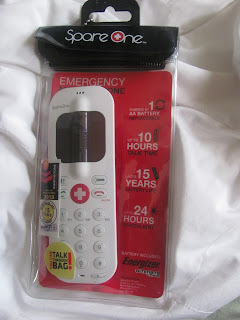 It is also great for an emergency car phone! The phone can be used as a regular pay as you go cell phone as well, making it a great option for someone who needs a cell phone but not a plan! Also, a great idea for kids! 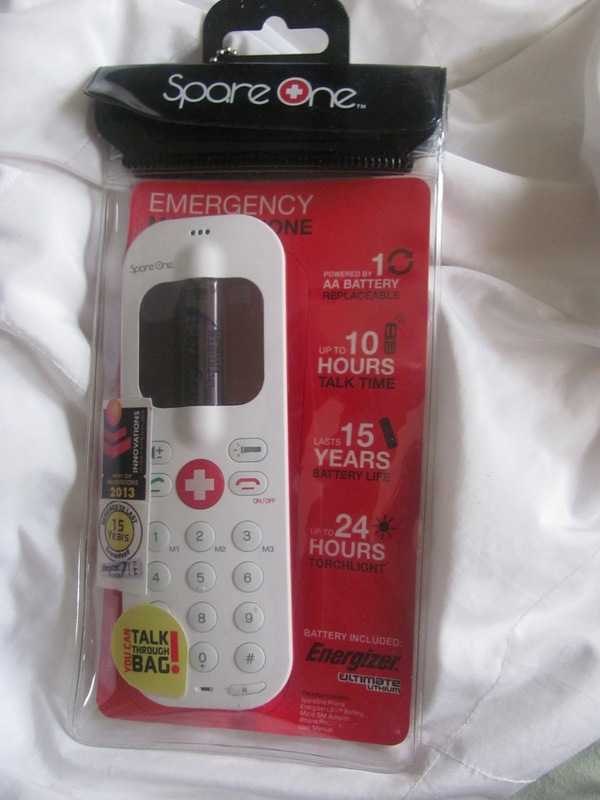 MamaBreak received a SpareOne phone to review here on MamaBreak. We did not receive any other type of compensation. As always, our opinions and experiences are our own. This sounds amazing! I must check into it!! This phone is amazing, I have one in my emergency kit at home and the office.